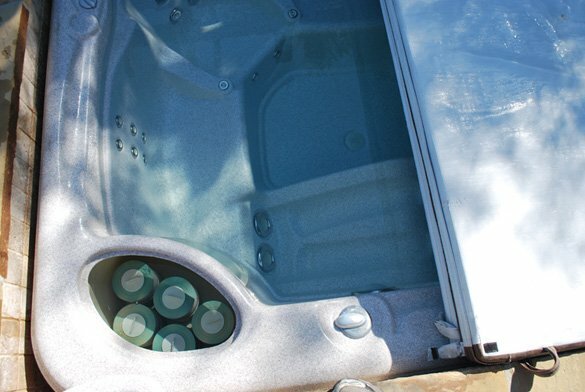 This is a portfolio for one of our spa/hot tub maintenance service customers that we manage on a weekly basis in the Carmel Valley, 92130 area of San Diego. 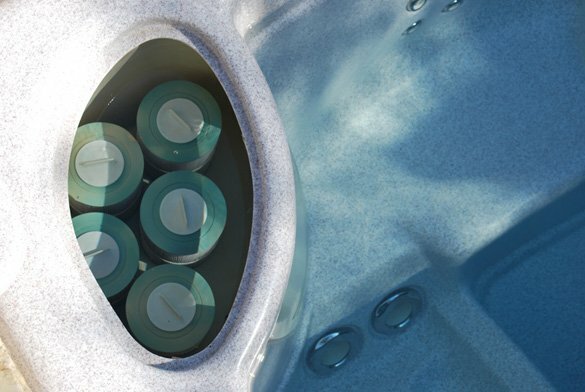 The hot tub is an above ground Hot Spring portable spa with a spa cover which helps keep leaves and large debris out of the spa. Surrounding the hot tub is a decorative stone edging that looks great and is also an added seating area. A spa wand hot tub vac is used to remove any materials or debris from the floor and benches. 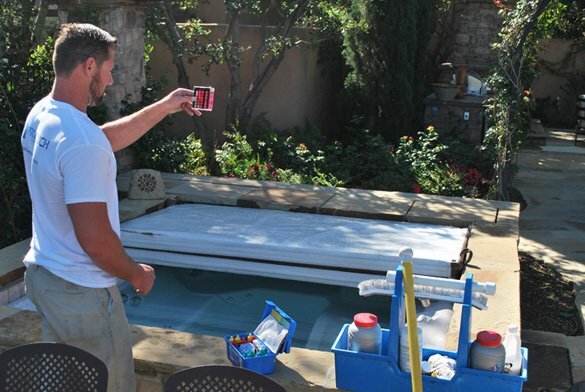 To sanitize the hot tub water we utilize a bromine tab feeder with one inch bromine tablets. Every week non-chlorine shock is added to the spa water to aid in the water chemistry balancing process. Occasionally we add an enzyme to the hot tub to help eliminate excess oils. Periodic filter cleans are also performed when needed. 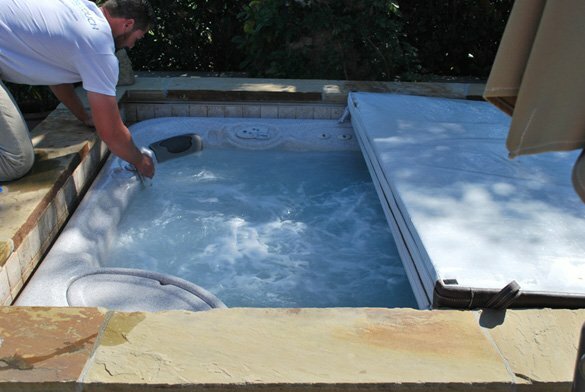 At a minimum once a year ProTouch also performs a hot tub drain and clean to refresh the water and clean the surface.